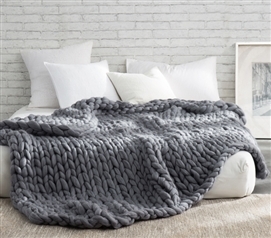 Twin XL Bed Blankets and College Dorm Room Throws make great additions to college bedding. Comfy bedding for college requires dorm room accessories, so go ahead - add some blankets for college to your dorm room shopping list! DormCo offers a variety of colors and styles so you have the comfort you want. For engulfing comfort all around you that you can literally crawl into, look no further than our incredibly comfortable Wormhole Twin XL Dorm Bedding Blanket! We also offer ultra plush and super soft fleece college blankets and even combine the two options with our Are You Kidding? college blanket! And no, we aren't kidding - all of our DormCo exclusive dorm blankets are the most comfortable college blankets ever! When buying your college dorm bedding it is sometimes easy to forget about the dorm room accessories. One thing you won't want to forget is a Twin XL Dorm Bedding Blanket. 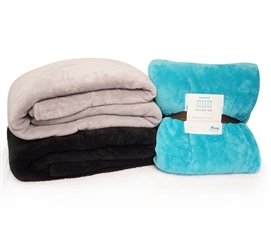 Sized to fit Extra Long Twin dorm beds, our college blankets are ultra soft, plush and most importantly affordable. 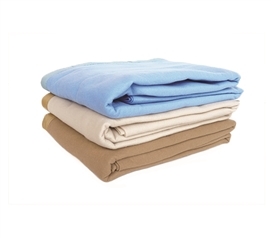 Keep your college bedding warm with a blanket from DormCo! Beyond Twin XL Dorm Bedding Blankets and Throws, DormCo has all the other dorm essentials that you will need to make your college dorm room comfortable.